Christmas is approaching, and what better way to celebrate this joyous season than with a chance to win a Kindle Paperwhite?!! So, a little bit back I was invited to do this hop by Mary over at Buried Under Romance. She's celebrating her birthday today Woot! by hosting her first ever blog hop! There are a bunch of us playing along and together we're giving away a Kindle Paperwhite and some other goodies! Hop through all the blogs and check out what we're celebrating and thankful for this year! For me this week I'm really thankful for the blog--and that means yall! As some of yall know I run an animal rescue in my real life. A few days ago I got a call from a kill shelter in Maryland (I'm about 5 hours away in NC) that one of the cats we adopted out years ago had been surrendered and the family didn't want him. Which means he only had 3 days safe before they could euthanize him for space reasons. So..total panic mode, right? It was looking like a $500 plane ticket with other expenses or spending 10 hours driving to get him and bring him home. 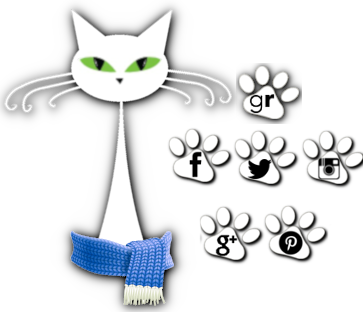 BUT I decided to make a post on our FB page. And the response had me pretty much in tears. I mean, total girly puddle of sobs tears. His post was shared by so many people on FB, on twitter, through messages. I had offers from people to stay overnight or take a break at their homes along the way if I needed to make the drive, people who volunteered to get him from the shelter, so many well wishes and prayers and info passed along. And an offer from a wonderful author--one I've never met or read before (though that will be changing) that heard our plea via another author--to pick him up and drive him all the way to North Carolina as they make their way further South for Christmas. Just amazing! Yall should check her out...Debra Anastasia. So, now that I've rambled on I'd love to know what YOU are celebrating and thankful for this Christmas! We're also in the middle of our 2 year anniversary/Christmas celebration. We've got more than 30 authors joining us for guest posts and interviews and just randomness with dozens of giveaway prizes. Yall are all welcome to join in on those and enter away. 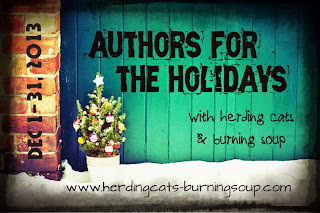 All of the prizes and posts for Authors for the Holidays are here.